The fossil fuel divestment campaign on campus, Refuel Our Future, continues to press the Administration. Refuel Our Future, a student group dedicated to fighting climate change by urging the University to sell its investments in fossil fuel companies, is renewing its efforts this year as fossil fuel divestment becomes more common worldwide. Recently, the Rockefeller family of Standard Oil fame, the British newspaper The Guardian and several environmental groups have called for complete elimination of fossil fuel investments. The sovereign wealth fund of Norway, which exists because of profits the Norwegian government has made from its offshore oil drilling, has also divested from coal. Refuel Our Future has been actively recruiting since the start of the semester, hoping to add to its ranks. 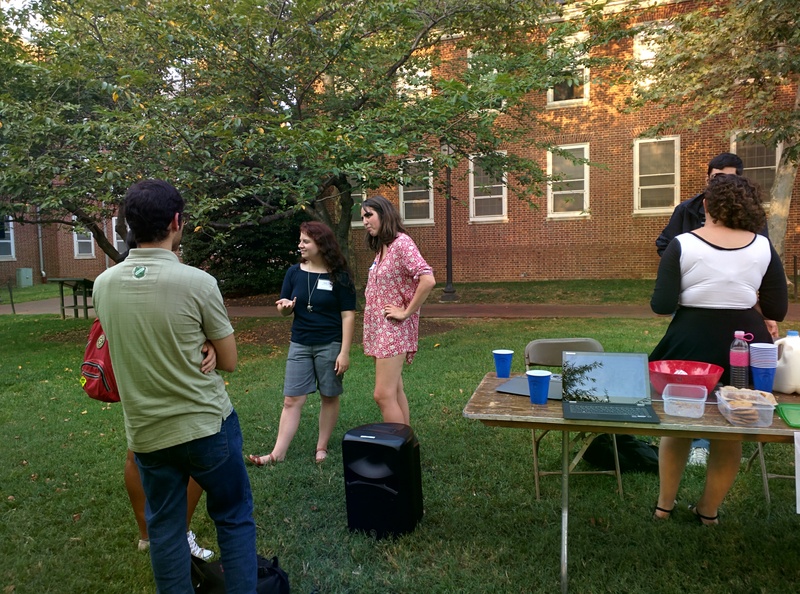 On Thursday they held an event on the Freshman Quad that was attended by over 50 students, which, combined with the sign-ups from the Student Involvement Fair (SIF), totals about 100 students. Sophomore board member Nina Krauss spoke about Refuel’s mission to divest the University’s endowment from fossil fuels. Krauss discussed a faculty petition to be released when 50 signatures are collected. Refuel has received blowback from professors before, once visible in an attempt to convince the group to focus on a carbon tax campaign. Krauss noted that this movement is for the social progress of society. Krauss described how the University has been difficult to work with during the campaign and stated that over $300 million of the endowment is invested in fossil fuel companies. A survey on the Student Government Association (SGA) ballot in 2012 indicated that 73 percent of students were in favor of divestment. Krauss spoke about what she wants Refuel’s draft proposal to accomplish this year. Freshman Clarissa Chen was not aware of divestment before speaking to Refuel members. “I didn’t know that there was an activism group on campus that was working towards getting Hopkins to divest from fossil fuels,” she said. Freshman David Gumino is aware of and passionate about Refuel’s mission. “I knew that, based on previous talks, that Hopkins was putting around $300,000 into fossil fuels, which I disagreed with, which is why I signed up for more information,” he said. Chen spoke about what she hopes renewable energy could do in the future. Transitioning towards renewable energy is important for Gumino as well. “Fossil fuel industries are going to keep growing, gasoline prices will still go up. But until we find a viable alternative form of energy, [fossil fuels] are always going to be there. So I think we should divest now rather than later,” Gumino said.